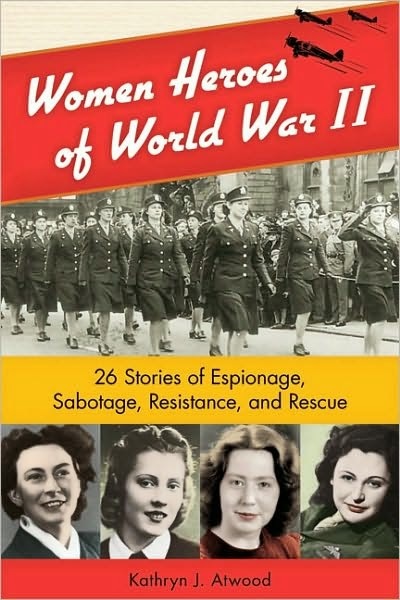 Back in September 2011, I reviewed a book called Women Heroes of World War II: 26 Stories of Espionage, Sabotage, Resistance and Rescue by Kathryn J. Atwood. This is a truly wonderful book about such brave women and ideal for young readers interested in history. One of the women that Kathryn wrote about was Noor Inayat Khan. Noor was the daughter of an Indian father and an American mother. She was born in Moscow, but lived and was educated in France. She was raised in the Muslim faith. 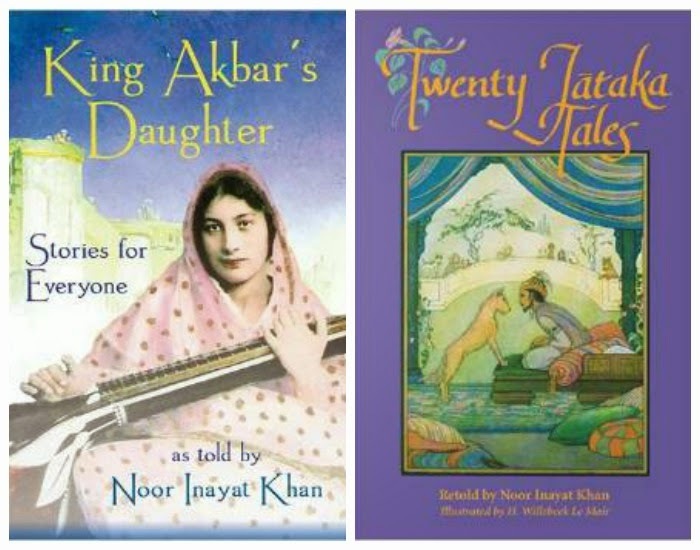 After college, Noor began to write and illustrate children's stories, but then, World War II began. Noor went to England and joined WAAF (Women's Auxiliary Air Force), ferrying planes for the RAF. She learned how to operate a radio in the WAAF and was eventually noticed by the SOE (Special Operations Executive). Because Noor spoke French with native fluency, she was an ideal candidate for their overseas operations. After training as an SOE agent, Noor arrived in France, using the code name Madeleine, during the night of June 16, 1943. She successfully evaded the Nazis and sent hundreds of radio messages, including some about the upcoming D-Day invasion, until she was arrested by the Gestapo around October 13, 1943. Eventually, after being repeatedly beaten and tortured, she was sent to Dachau, where she was executed on September 13, 1944. Last night, local PBS stations aired a one hour program called Enemy of the Reich: The Noor Inayat Khan Story. This excellently produced program really brings Noor's life and her activities fighting the Nazis to life in this docudrama starring Grace Srinivasan as Noor and narrated by Helen Mirren. Noor's story is one you won't want to miss and luckily, since it is on PBS, it will probably be repeated. Or, you can watch the entire program HERE until September 30, 2014. And you might want to check out Kathryn's book to see who else she have included in her book of women heroes during WWII. Caught the tail end of the PBS special this week and wished I had seen all of it. Lovely to know it is still available. And thanks for alerting me to the books. Thanks for sharing the information and the link. It sounds so interesting. I will first look for it being repeated on PBS- but if I can't find it I will check out the link.